Everyone else is doing it, so here are our predictions. These are not predictions of who will win, but rather whom we believe should win. In my heart of hearts, I was decided that this award would go to Miguel Cabrera. We may be wrong, but we consider Miguel Cabrera the best hitter in the American League. There are stats, like Wins Above Replacement and RC/27 that show Hamilton is the more valuable player. We wanted to argue that his WAR is unfairly higher because of the innings he's logged in while playing Centerfield. In other words, replacement center fielders are vastly inferior to replacement level first basemen. I could make that argument, and with the few number of people reading this space, I'd probably get away with it. Unfortunately, for my MiggyCab for MVP race, Hamilton rates higher in too many comparisons. As we mentioned, Hamilton has a higher WAR and RC/27. He hit half as many infield flyballs per plate appearance, had higher wOBA, wRAA, OPS, RAR, OWw%, and was better in all defensive statistics at a more valuable defensive position. Positional biases do not factor into the National League race because the two finalists for this award play the same position. Albert Pujols is in the prime of his career and in MVP discussions year in and year out, but he was just edged out this season. Focusing on Pujols, for a moment, look at where finished in MVP voting since his rookies season in 2001. 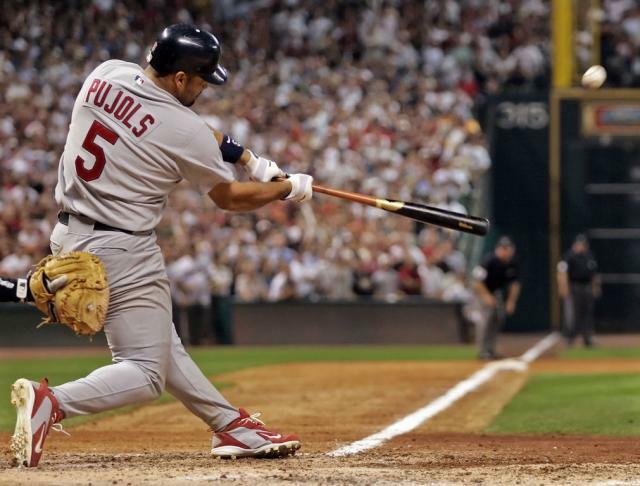 By MVP voting, 2007 was the worst season in Albert Pujols's career. What did his number look like that season? 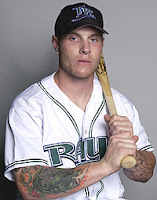 .327/.429/.568, 71 XBH, 32 HR, 99 BB, 58 K, 157 OPS+. Unbelievable, that was his "worst" season. The eight people who had more MVP votes than Albert Pujols in 2007 were, in order, Jimmy Rollins, Matt Holliday, Prince Fielder, David Wright, Ryan Howard, Chipper Jones, Jake Peavy, and Chase Utley. 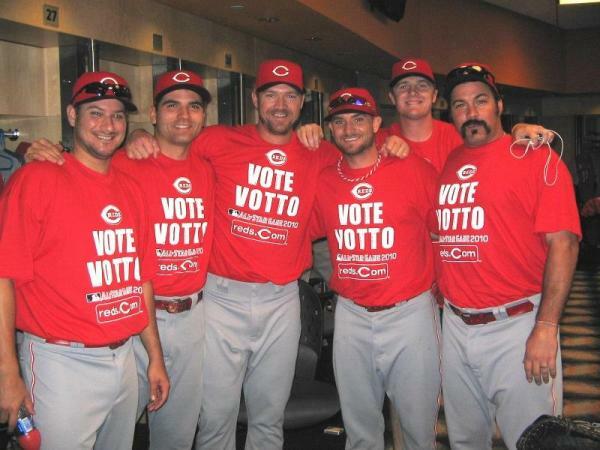 This year, Joey Votto lead the league with a 175 OPS+ (Pujols 174). 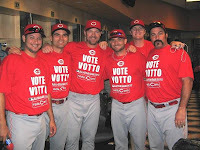 Votto also lead the league in OBP (.460), SLG (.600), and RC/27 (9.9). Pujols had a slightly higher WAR than Votto in 2010, but that could have been due to slightly better rated defense and an extra 52 plate appearances. Since Votto playing in 9 fewer games didn't stop the Reds from finishing ahead of the Cardinals, I'll choose to embrace other statistics. That's really all this is. Choose the stats you want to believe in, and use them to support your opinions. Even when you have an open mind and you just want to look at the stats to find out what your opinion will be, there are always stats to support the other side of the argument. What else makes Votto shine above Pujols? How about looking at linear weights? You know, Win Probability Added and RE24. Here are more statistics where Votto surpassed Pujols, and the rest of the league: WPA (7.03 to 5.39), RE24 (70.3 to 55.75), OWn% (.804 to .763), wRAA (61.3 to 55.4), and wOBA (.439 to .420). 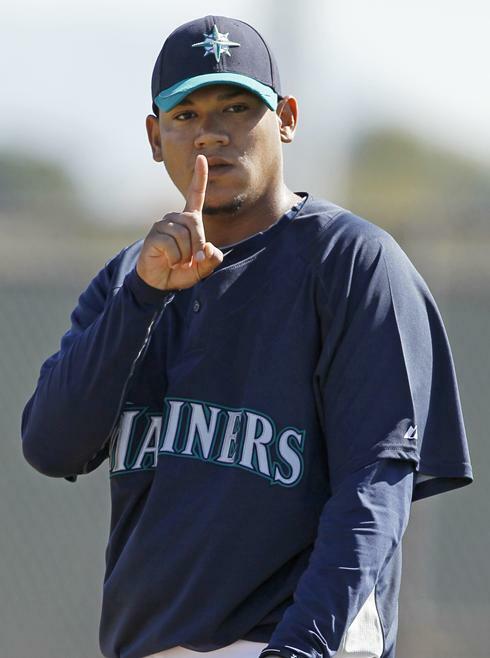 Felix Hernandez has a 13-12 record. People who haven't gotten past the 7th inning Ken Burns' "Baseball" believe that someone who has so few wins couldn't possibly be the best pitcher in the league. They're wrong. I don't know everything, or much of anything, but I do know that Felix Hernandez was the best pitcher in the American League this year. If he had been traded before the offseason to the Yankees for CC Sabathia, he would have 21+ wins and potentially a unanimous award winner. As it stands, we look to the enlightened views of national writers like Joe Posnanski, Keith Law, Tom Tango's crew at The Book, and the elusive Ken Tremendous to hopefully continue the movement to properly appreciate player performance. The AL ballot was difficult to fill out. With only five spaces, voters are forced to neglect one of the pitchers above or others from a group of outstanding performances including: Clay Buchholz, Jon Lester, CC Sabathia, and Jered Weaver. There were just so many great performances by starters in the AL this year. If you're interested and have the time, check out how well each of these guys did, as well as a couple of kids in Oakland named Trevor Cahill and Gio Gonzalez. Doc Halladay, as Dusty Baker and others like to call him, had a season for the ages. Looking at traditional stats, he lead the league with 21 wins, 9 CG, 4 shutouts, 250.2 IP. 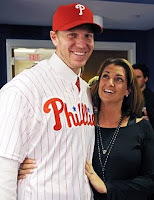 Halladay was 3rd in ERA and 2nd in strikeouts. I read somewhere (from Keith Law, I think) that Roy Halladay was the first pitcher in about 75 years to throw at least 250 innings and walk 30 or less batters. Those numbers are all well and good. To really end the discussion here and now, first we will think logically then look at some advanced stats. First, Roy Halladay pitches in one of the most extreme hitter's ballparks in Philadelphia. The fact that has a 2.44 ERA in a hitter's ballpark is outstanding. As for more advanced statistics to prove the point, Roy Halladay leads the National League in WPA (5.3), RE24 (52.9), and RE24/boLI (44.1). There are more stats, I'm sure, but we're trying to get away from the Alphabet Soup this post has become.